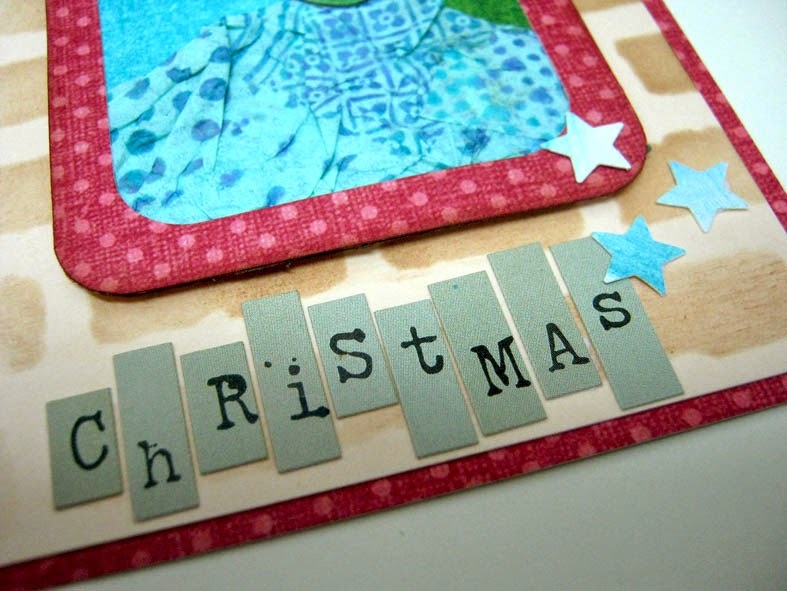 scrappin it: Christmas Paper Piecing Tag/ Door Sign/ Ornament? Christmas Paper Piecing Tag/ Door Sign/ Ornament? 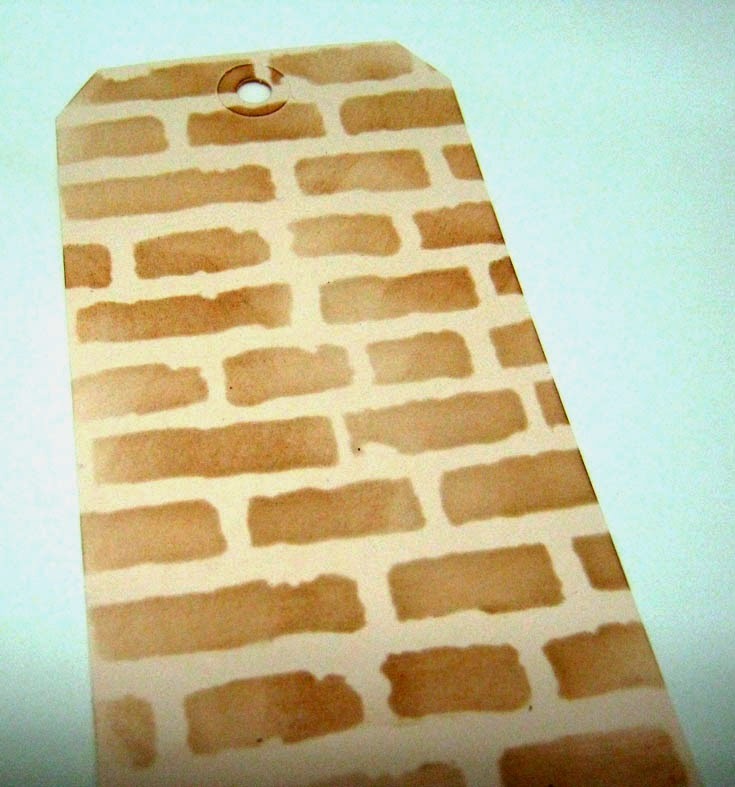 I started with stenciling a large tag with a brick pattern. 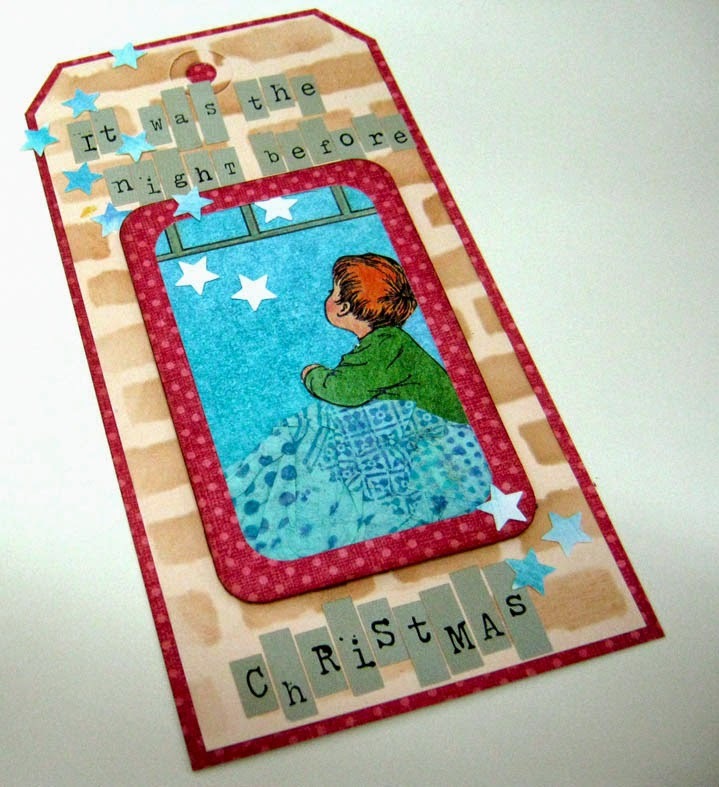 I wanted to create a scene of a boy sitting next to a window looking up to the sky searching for santa. 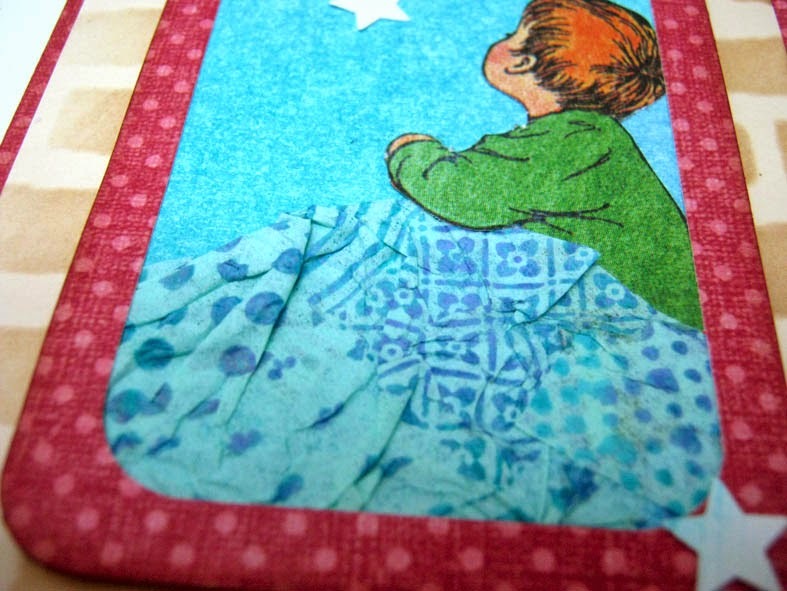 Then I stamped a piece of tissue paper with Ann Butler's Faux Quilted Stamps. 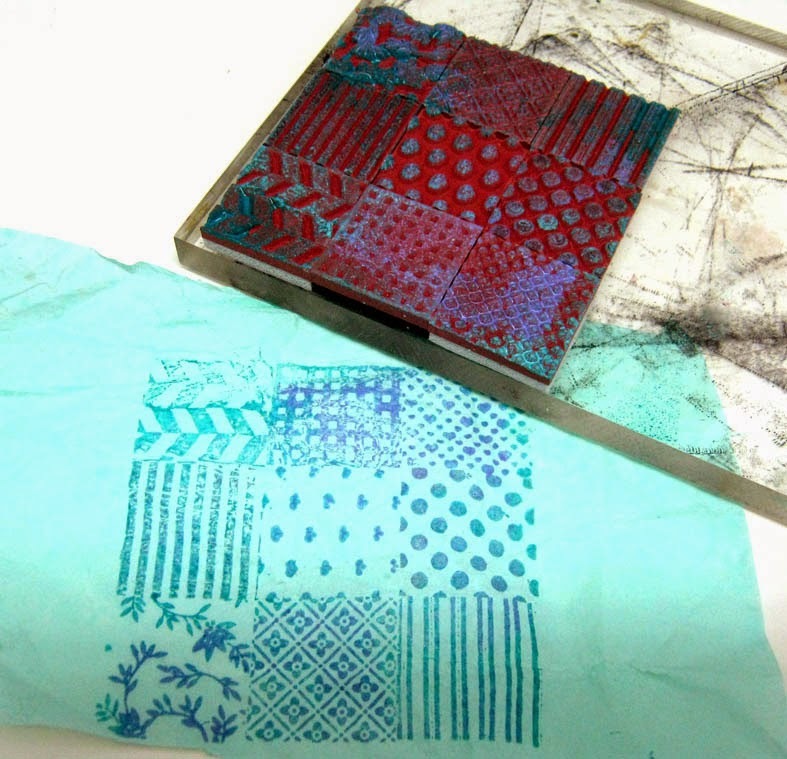 I simply arranged the 1" square stamps on my stamping block and stamped. looks like a quilt right? 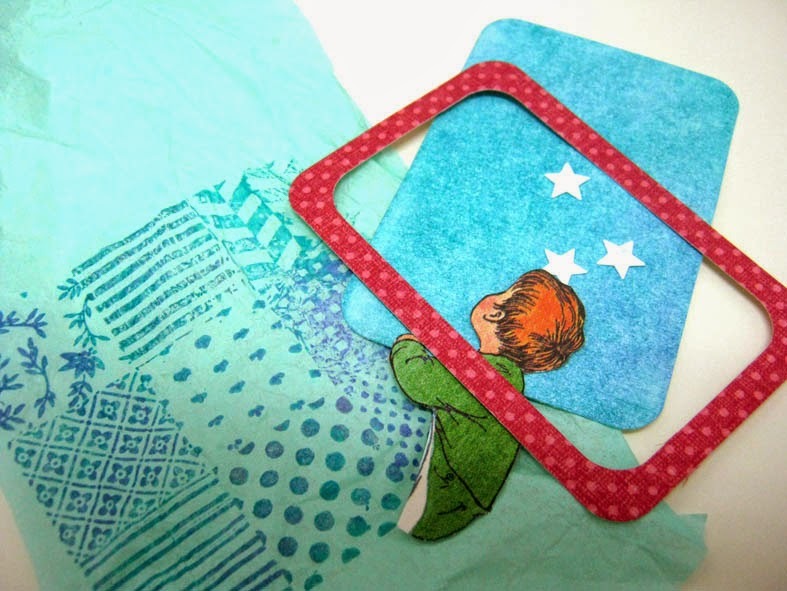 I cut the window frame, window back and an image of a boy, I also punched some stars from a white cardstock I colored with Ann Butler's Crafter's ink. I assembled all the pieces to a scene. First I colored the white window back with the same inks and attached the frame to it. I added details to the window with a pen. I added the boy and the quilted paper blanket. 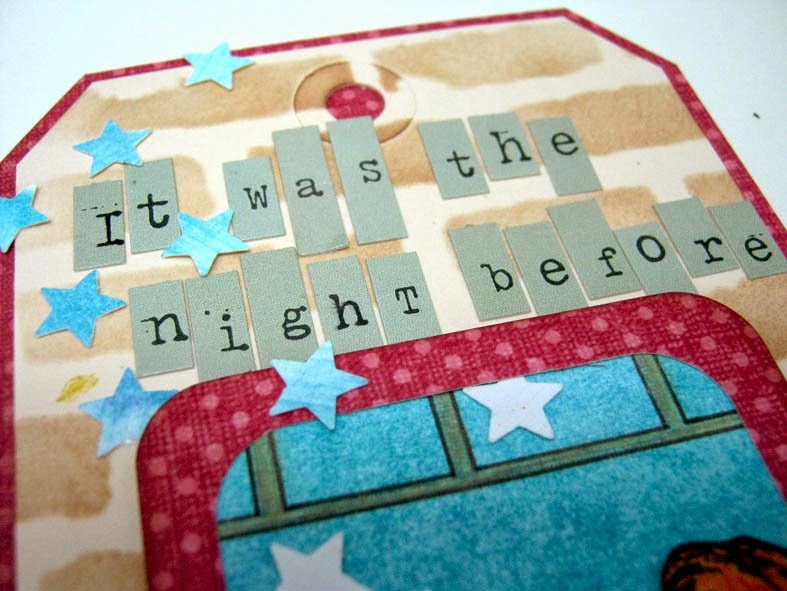 Finally I added letter stickers and the punched stars. So what do you think it is? I think it could be all three right?